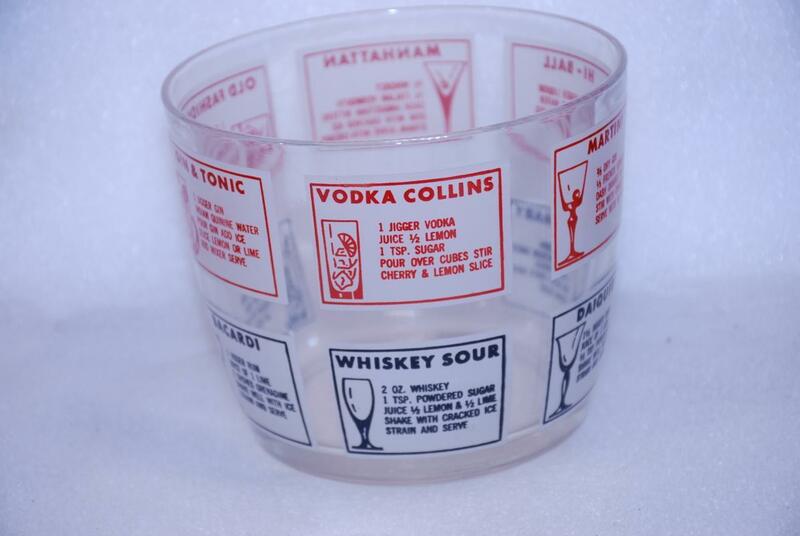 Vintage Glass Ice Bucket with Cocktail Recipes. Fun mid-century retro glass ice bucket. It measures 5.5 inches across the top and is 4.75 tall. The condition is excellent. No scratches to the recipes.